Are you looking to add something new to your selection room, but have limited space? Look no further. Our new Memorial Rock 20" x 28" poster can help you boost your sales, and stay ahead of the competition as you offer the families you serve new and innovative ways to memorialize their loved ones. 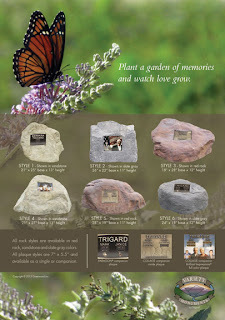 Learn more about the new Memorial Rocks or call Customer Service at 800.498.7900 to order your poster today. Why skimp in the end?